Over the past year I’ve been learning some great lessons about interdisciplinarity through conversations with a great group of scholars interested in analog games (centrally, but not solely, RPGs). These conversations started informally at the Popular Culture Association / American Culture Association, and have evolved into a new online journal, Analog Game Studies. Besides the subject matter, which is obviously of interest to TGA readers, I think the format is also something that deserves some notice. AGS is first-rate when it comes to the peer review and editing process, and I don’t mind saying that the editors put me through the wringer in a good way, making the piece much better than my original submission. But at the same time it is also fast, lightweight, and lean compared to traditional journal models. It is also 100% more free than a traditional journal. While AGS certainly isn’t the first journal to exist outside of a pay wall (heck, it’s not even the first journal about gaming to do so) I think it is an excellent addition to the field and helps to draw attention to the important area of analog games, which tend to get drowned out by video games. I hope you’ll check it out and spread the word. Studying geek culture, not just as a novelty act or a “gee, whiz, anthropologists really can study anything” but as something that can help develop our understanding of basic anthropological questions. Since I started grad school five years ago I have attended two conferences almost every year: the American Anthropological Association and the Popular Culture Association / American Culture Association. I highly value my experiences at both conferences, although in very different ways. The AAA meetings, besides being important for keeping up on events within anthropology as an academic discipline, helped to bring me in contact with Marie-Pierre through our Geek Anthropology session last year. That session helped with one of my long term goals, which is to help establish the fruitfulness of studying geek culture, not just as a novelty act or a “gee, whiz, anthropologists really can study anything,” but as something that can help develop our understanding of basic anthropological questions. Very similar to my own stats. At the PCA/ACA, my role has been much the opposite. 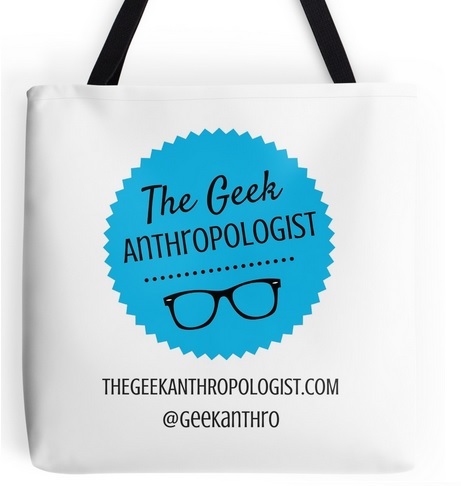 There, studying geek culture is the norm, but anthropologists are rather rare. Interacting with the other scholars at this interdisciplinary conference has heightened my understanding of what it means for me to be an anthropologist even more than seeing that demonstrated by other anthropologists at the AAA. The contrast between the two conferences has shaped my identity as a scholar; at the AAA I’m the anthropologist who studies D&D, while at the PCA/ACA, I’m the anthropologist who studies D&D. Learning how to bring an anthropological perspective to an interdisciplinary team has been a growing experience for me and challenged some of my assumptions about what makes anthropology unique. I’m actually still working on that one, because it turns out not to be as simple as hollering about holism and participant observation.